PURINA Veterinary Diets are scientifically researched foods that have been developed by nutritionists and vets to provide all that your cat needs to maintain health and growth. 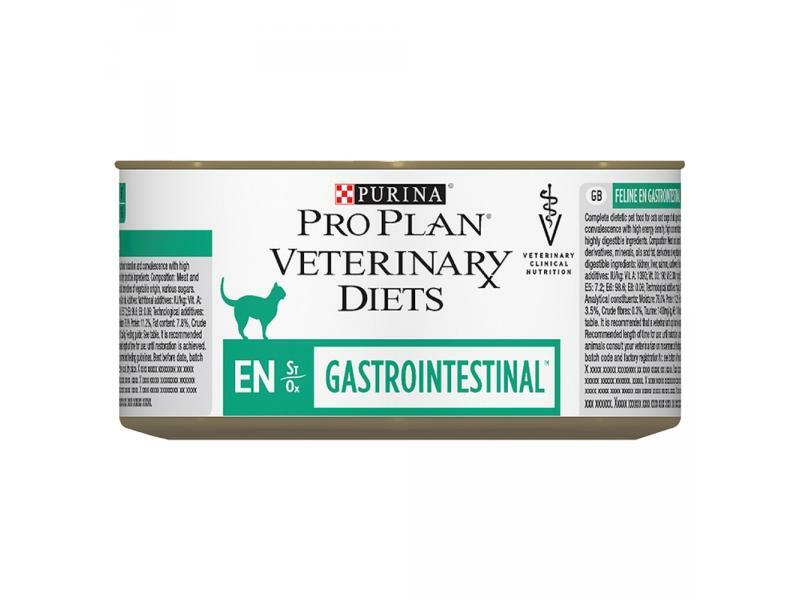 PURINA Veterinary Diets EN is a complete diet to help manage liver and gastrointestinal problems in cats of all ages. This highly palatable recipe is made up from easily digested ingredients to take the effort out of digestion in the gut. Soya protein isolate*, dehydrated chicken protein*, soya meal, maize starch*, animal fat*, digest, minerals, inulin (min. 0.2%), fish oil*. Meat and animal derivatives, cereals, minerals, oil and fats, derivatives of vegetable origin. Highly digestible ingredients: liver, turkey, kidney, rice flour, fish oil. 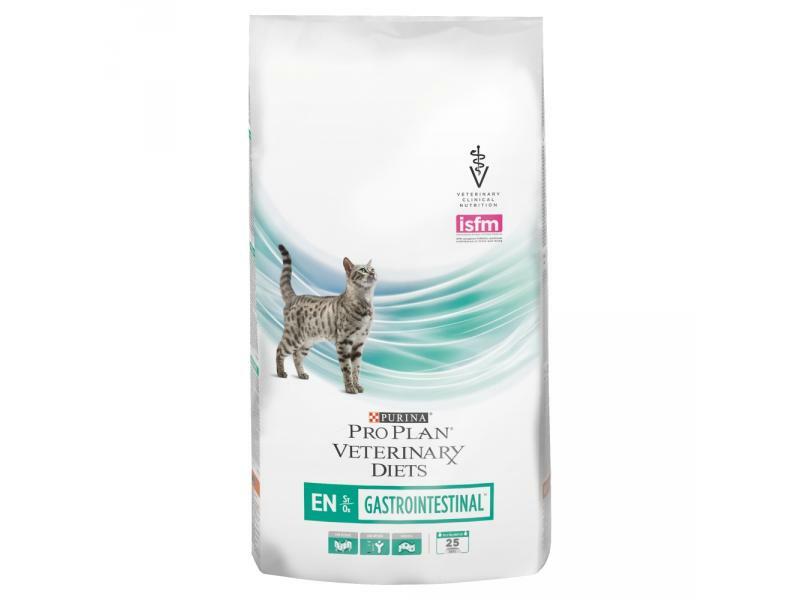 There are currently no questions for Purina Pro Plan Veterinary Diets Feline EN Gastrointestinal Cat Food - be the first to ask one!